9/11 Muslim cheering false? + Dilbert creator's shocking statements! DANVILLE, CA 11/29/15 – First let's get this straight once and for all. There absolutely WERE Muslims dancing on a rooftop in New Jersey when the New York World Trades Center collapsed. The smoking twin towers could be seen in the background as they danced. The numbers of them were exaggerated by The Donald. There were not thousands of them. It was more like between one and two dozen on that rooftop. But they were there celebrating nonetheless. This writer saw the video which played on all TV stations. I lived and worked in New York for over a quarter of a century and followed the Muslim attacks on our city closely. There were also videos showing Muslims dancing on the streets in the Middle East. One that I will never forget showed an older Muslim woman with a smirk on her face amongst the dancers gyrating their bodies, rejoicing in the deaths of over 3000 people caused by their relatives. That is where the 'thousands of people" were dancing and cheering that Trump spoke of. Another clip this writer saw was an Islamic leader in New York City proclaiming happily; "This just proves that OUR god is more powerful than YOUR God." Of special interest here is that Muslims try to deceive the world into believing that their god and America's God is the same god, which is a lie. I am up in that history and categorically know that this is a false claim. However, inadvertently this proud Islamic leader made it clear that yes, the god of Islam and the God of America are NOT the same. Interesting, all of those videos have since been scrubbed from sight. In order to sabotage Donald Trump's run for president, the issue of the NUMBER of cheering Muslims in New Jersey on that day is what Obama is focusing on to distract from the real issue. Obama is an expert on this, being carefully coached by his Communist handlers, plus his Muslim advisors whom he has placed in most of the security offices in D.C, which, by the way, is nuts! Obama and the Democrats will do anything to stop Trump since they know without doubt that this angry man will get into office, and throw out anything and anyone who is a threat to The United States of America. DILBERT'S CREATOR MAKES SHOCKING STATEMENTS! This is very sad to report. 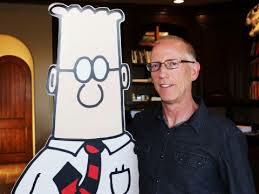 Scott Adams, the creator and artist of the Dilbert comic strip, the wittiest comic strip ever, has suddenly presented himself as an angry liberal pro-choice militant at war with all who do not share his point of view. Indeed,according to his own words, he wants us all to die a long painful death. I knew Scott Adams and liked him from the time we first met at an animal rescue benefit where I was master of ceremonies. The fact he loved animals was a huge factor for me. We met often after that over lunch at one of his restaurants, thoroughly enjoying ourselves and exchanging emails.. 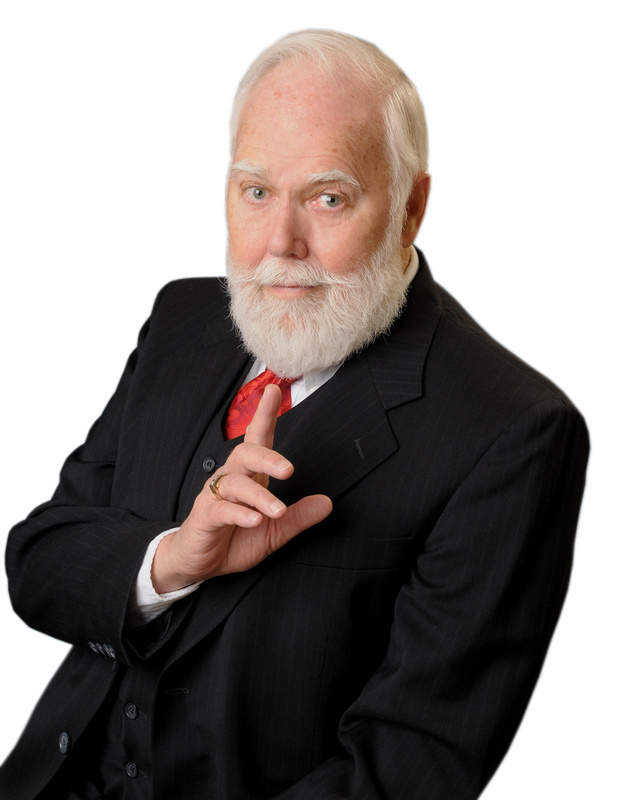 The fact that he was an atheist and I am a Christian minister/chaplain had no bearing. A few years ago he was struck with a rare muscle disease that robbed him from being able to speak, and his coordination drastically affected. He emailed me that we would never be able to meet again. His marriage fell apart during that time. He had to virtually learn to draw all over again, and had to use a machine device to help him in drawing his characters. I had just emailed him two days ago expressing my wish to see him again and to do an interview with updates. This was to be a positive story showing how he battled through to continue producing his strip. Then today, the news broke (hit may have been more accurate). It stunned me. A story was published first on Nation, then republished today on Life News. Scott was quoted as saying that he wants all pro-life people to die horrible deaths. He addressed one man personally, a writer, whose wife is a columnist with the San Francisco Chronicle saying to him that he, "hates my (f-word) guts and that he wishes me to die a long and horrible death." In his rampage, Scott listed several prominent names, including Pope Francis to his wish-list for each to die long and horrible deaths. Scott also lists all those who are opposed to doctor assisted suicide. He took it further by stating that if you oppose this, "I hate your (f-word) guts and I would like you to die a long, horrible death. I would be happy to kill you personally and watch you bleed out." He goes on to say: "I won't do that because I fear the consequences." "But I'd enjoy it, because you mother-f-word-are responsible for torturing my father..." Scott's father was supposedly denied the right to die even though there is no record that he ever asked for doctor assisted suicide. Scott went on to repeat several times his wish to kill all of us and make us suffer. This is not the Scott Adams I knew. He never seemed angry nor did he use any vulgarity when talking to me – however, being a minister might be a hindrance to those in the habit of using vulgar words.